As announced at a press conference in the venerated opera house, Bryan Hymel will return to Teatro alla Scala to open their 2016 season. 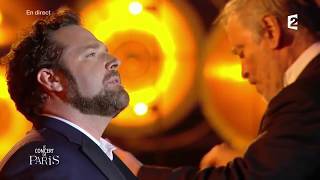 The American tenor performs the role of Pinkerton in a new production of Madama Butterfly, directed by Alvis Hermanis with Riccardo Chailly at the podium. Bryan is joined on stage by Uruguayan soprano Maria José Siri as Ciò-Ciò-San in performances that open on December 7, 2016, and run through January 8, 2017.